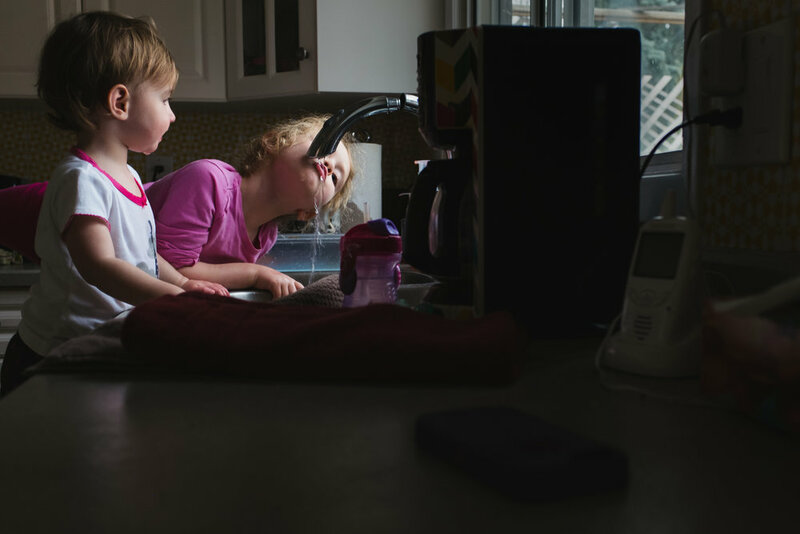 If your life is anything like mine, then I’m betting that the sink is the heartbeat of your kitchen. It is a dirty-dish holder, a sensory play area in a pinch, a baby bath, a sense of accomplishment, a toy washer, and a nightly chore. If you’ve never stopped to think of the many roles your kitchen sink plays, this week is the week that’ll change that! 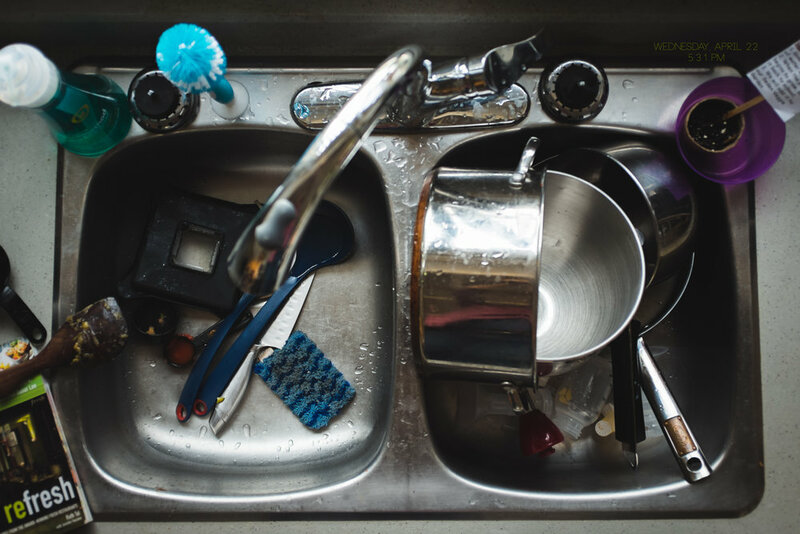 This week’s creativity challenge is a simple one - photograph your kitchen sink in as many ways as possible. Think about different lighting throughout the day, the movement of the water and all of the angles that are possible. Kitchen sinks are generally surrounded by countertops which can make wonderful leading lines and reflective surfaces. If your space is tight grab a stool and get overhead. 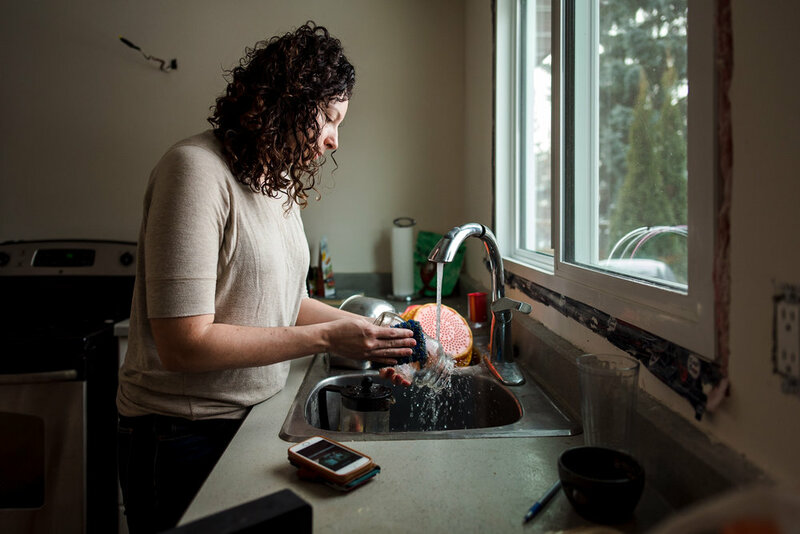 Consider photographing your sink as still life (full of dishes or empty), with your kids, with your spouse and as a self portrait. As always, I’d love to see what you come up with! Make sure to share and tag us on Instagram using #unscriptedmentoring for your chance to be featured.